Birth*: Emma Thorne was born on 9 April 1861 at Madison Co., TN. She was the daughter of Caleb Pussey Thorne and Anna W. Burnett. [S1379] Unknown name of person unknown record type, unknown repository, unknown repository address. She was the daughter of Caleb Pussey Thorne. Birth*: Nancy Thornton was born circa 1770 at NC. [S198] Unknown author, Marriages of Bute and Warren Counties, North Carolina 1764-1868, pg 141. Birth*: Lewis Thorp was born circa 1854. [S1458] Richmond Times-Dispatch, 26 Feb 1911. [S2140] 1920 Roanoke Co., Va. Census. 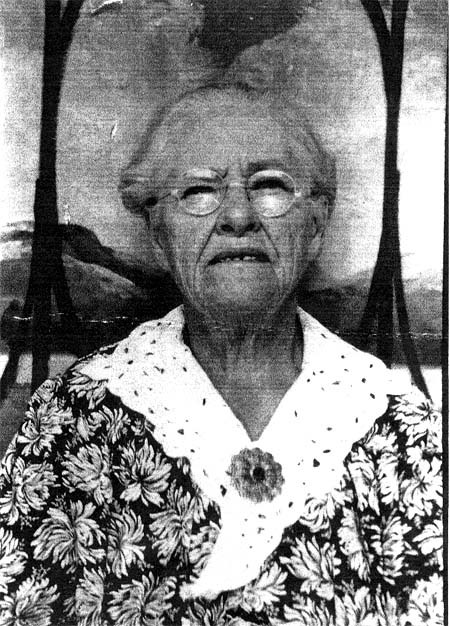 Birth*: Lydia Mae Toler was born on 30 June 1898 at Emul, Craven Co., NC. Marriage*: Lydia Mae Toler married Alex Rowe circa 1919 at NC. [S94] Unknown volume, unknown short title, unknown repository. [S1995] 1900 Bannock Co., Idaho Census.